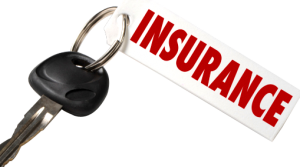 Having full car insurance means that you have both collision and comprehensive coverage included in your policy. When you file a report to the police in which you complain that your car has been stolen, your insurance agency will instantly guide you through the whole process, so that you know step-by-step what you have to do. The first question that arises in your mind is definitely the insurance. Does Car Insurance Cover Stolen Car?? Not always. None of the insurance companies like it, when you carelessly leave the keys in your car and the vehicle running, and then you run for help because someone stole your vehicle! Despite the fact that your insurance agent would obviously want to rebuke you, it is a must for you to know that most of the insurance companies will actually provide you the desired compensation. But before turning to the insurance company, as well as finding out the complete answer to the question you need to check your policy to see if coverage for such events is guaranteed or not. When you cause damage to a property or another car or when you suffer personal injury, your basic car insurance might give you protection. However, if you don?t have both collision and comprehensive coverage included in your policy, you risk not getting protection when someone steals your car. However, theft protection varies from one state law to another. Therefore, you are in need of full coverage, if you want to be protected against theft events and possible damage that could be caused by this action. Even if full coverage costs a lot, it is definitely something that is worth in the long run! One essential step that can?t be excluded from this entire procedure consists of your report to the police regarding this event. 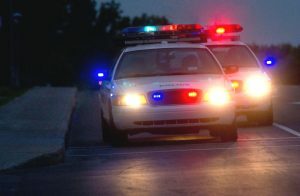 Once you notice that your vehicle has been stolen, you must contact the police immediately. When you are ready to visit or call the police, make sure that you have all of the necessary information prepared, including the color of your vehicle, the year of fabrication, the model, and its license plate number. Your vehicle?s identification number is very important because it eases the police?s task to discover where your car is. You will be able to practically find all the information related to your car on your insurance. Special: Teenagers could also be interested to find out the right answer and they also ask the same question. It is highly recommended to have both collision and comprehensive coverage included in your auto insurance for teens, to make sure that you have high chances for compensation when you get into this terrible situation. When you report the theft event to the police, there are some other details as well that could ease even more the police`s task to find your vehicle. Besides the above-mentioned details that are a must to report, you can also share details regarding any paint discoloration, dent marks, and other distinguishing details. You can also list in the report the goods that you keep in your vehicle. Depending on the insurance policy that you have, you could benefit from partial or full compensation on valuable goods, like your tablet, mobile phone, laptop or any other tool. When you contact your insurance agency, make sure that you have the police report and title prepared. Your insurance agent might also ask for more information related to your vehicle, including the contact information of other people who have access to it. It is important that you give any information required precisely for your insurance agent. 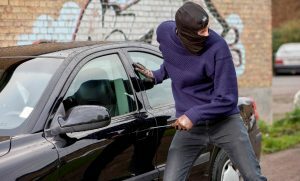 The company could also ask for your home insurance policy that could provide compensation for your personal items that were in the car when it has been stolen. Hopefully, all of the above-described tips and guides helped you to find out the complete answer to your concerning question and to know what you have to do step-by-step when you deal with this situation. 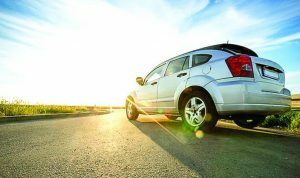 How Does Your Driving Record Impact Car Insurance?